Spring Challenge Sign Up DEADLINE! The DEADLINE to sign up for our Spring Challenge is TODAY! The challenge will run from April 1 - May 8 and will include our first ever Technique and Intention Setting Yoga classes, plus it will include some amazing specialty dance classes! There is no set number of classes to achieve in this challenge; instead we want you to have YOUR best challenge yet, and to give you the tools to find maximum growth in your practice. If you already have an active pass, you can put it on hold for the duration of the challenge in order to purchase one of the challenge passes, or, use it to take part in the challenge. Make sure to add your name to the challenge boards that are hanging up at both of our studios so you can keep track of the classes you have completed! The first of our Technique sessions is Mats and Weights. 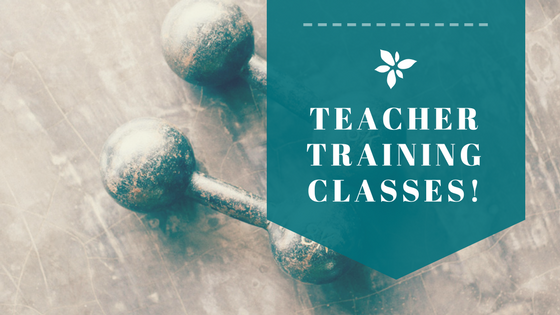 In this class Jessica will solidify your understanding of proper technique on the mat and when using weights. You will go over proper body mechanics, common mistakes, myths, and how to maximize the movements within your own body. Our goal is to help you prevent injury, and to understand how to modify movements. There will also be plenty of opportunity to answer any questions you may have! 12:00-1:00pm at our 4th street location. 6:45-7:45pm at our Marda Loop location. Boost Your Barre is a coaching class, similar to a yoga posture clinic. Katie will go through basic ballet movements to solidify the techniques that are used in our classes. It is a great way to get deeper into the movement and is a great chance to ask questions and move at a slower pace. You will still get a workout, but the focus is more on learning and mastering the Ballet Beats Method technique! 7:15-8:15pm at our 4th street location. Intention Setting Yoga is a chance to get centered, feel balanced, and remind yourself to follow your path and to stay true to what is important to you and what makes your heart feel happy. 11:30am -12:45pm at our Marda Loop location. 12:00-1:15pm at our 4th street location. Hailey McLeod is back for Anatomy and Alignment for the Dancing Body! This class is an excellent accompaniment to our Boost Your Barre class with Katie. Hailey will give you a greater understanding of the positions and basic movements of ballet from an anatomical perspective. You will learn how to make adjustments to suit your body so you are able to achieve optimal technique and remain injury free in your dance and fitness practice! 6:45-8:00pm at our Marda Loop location. 7:15-8:30pm at our 4th street location. We hope you will join us for these magical 38 days in motivating each other as we move together, create energy, and make space for what matters. Commit to yourself and “Prove Nothing”! Food is a pleasure, but it is also how we fuel our bodies and energize ourselves so we are able to get the most out of our days, and out of class. Here are some of our favourite recipes that provide tons of protein, healthy fats, and complex carbohydrates to keep you pliéing all day long! The best thing about smoothies is that they can be made out of so many different things. · Optional: hemp hearts, chia seeds, flax seeds, etc. *If using fresh berries instead of frozen ones add a cup of ice cubes to ensure your smoothie is nice and cold. · Chocolate compliments fruit beautifully, add a banana and/or a few strawberries for an extra boost! Bowls are having a moment right now and it’s because they are delicious. They can also be easily tweaked to suit whoever is making them, so get creative! Cook the sweet potatoes by tossing in olive oil and preferred spices and either roasting in the oven at 400F for 30-35 minutes, or until soft and browned or on the stove top until tender. Place all of the ingredients into a jar or bowl and mix until fully combined. Any leftover vinaigrette will keep in the fridge for up to three days. Finally; assemble! This bowl can be served warm or cold. Brussel sprouts are often misunderstood. But they can be a really tasty and an easy side dish for any meal! Simply cut each sprout in half and toss in olive oil. You can keep it simple by adding just salt and pepper, or sweeten the dish by also adding a spoonful or two of maple syrup or balsamic vinegar. The seasoned sprout halves can either be roasted in the oven at 350F for 20 minutes or until tender, or on the stovetop. Lets get exploring new flavours, experimenting with old favourites, and putting your own spin on things! Love from the Ballet Barre Works team, we’ll see you fuelled and ready to go at the barre! Keeping the January momentum going throughout the rest of the year can be a challenge. The first month of a new year is typically seen as a fresh slate, a time for setting goals, whether they are long or short-term, and making plans for the coming 12 months. Goals are important measures of personal growth, and a practice that centres on forward thinking, mindfulness, and the development of physical and mental wellbeing. However, establishing goals and resolutions are only the first part of the journey. The trick is seeing them through past the excitement of the New Year. In order to be successful, goals need to be both attainable and sustainable. Even though it is always a good idea to challenge yourself and to explore avenues outside of your comfort zone, choosing a goal that has little chance of success of ever being completed is a recipe for disaster. On a similar note, having goals that are sustainable are just as important. If mindfulness is a practice that you want to be a bigger part of your life, perhaps mediating for an hour each day isn’t the best method to choose as the first step in implementing that change. How your goals are framed in your mind can also have a significant impact on how attainable and sustainable they are. For example, goals can be stated with either a positive or negative (not to be confused with good or bad) phrasing. Rather than having a goal with negative wording, such as “I want to lose weight,” Try expressing it as a positive, “I want to gain strength” or, “I will achieve X fitness activity by Z time.” Another example of a positive goal would be “I will learn how to cook one new dish/ingredient a month,” versus the negative goal of “I will cut out sugar from my diet.” Goals that seem like a punishment, such as the elimination of sugar – which is delicious – are much less sustainable than goals that seem like a reward, such as adding new and exciting – but healthy – foods into your diet. 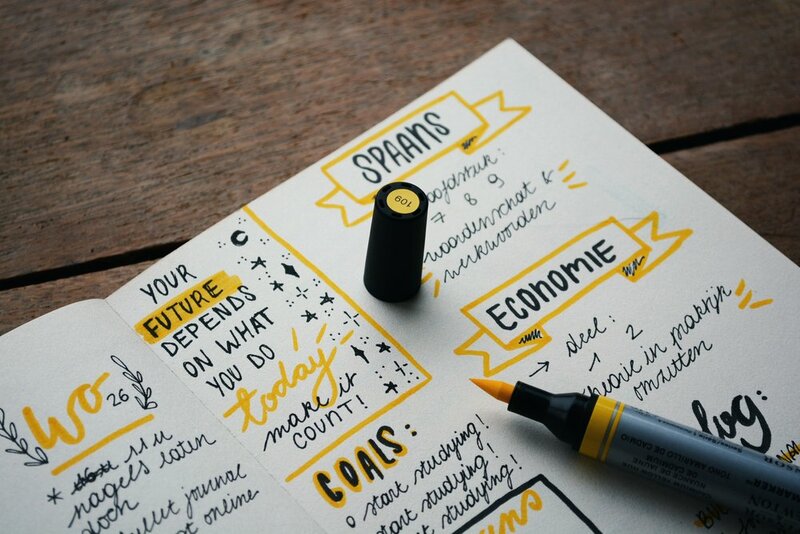 Now that you have made your goals for the rest of the year, tracking the progress of them is essential. However, it is equally important to realize that your sense of success is not based on how many items you have crossed off of your list. Seizing opportunities as they come and acknowledging new and unplanned achievements must also be taken into consideration. Discounting these surprises, or worse, not following the opportunities because they are not in your plan, closes doors that could lead you in exciting directions that you could not have foreseen when outlining what you wanted to accomplish at the start of the year. So while these new developments may distract from achieving the planned goals on time, they must also be included in how you measure your success and growth. o Doesn’t have to be anything fancy. Simply making note of reached milestones or notable events in a calendar can help keep perspective. o Speaking the day’s achievements out loud to yourself, a partner, or friend can help solidify it in your mind. o Having someone to help keep you accountable, and who is reaching for the same end as you can be the extra push you need to continue the journey you have set out for yourself. We are so excited to dance our hearts out with you, and to help you accomplish whatever goals you have set for yourself this year. The end of the year marks another trip around the sun that was full of dancing, sweating, and embracing new things. Thank YOU for making 2017 such an incredible year. We are grateful for every single class that we get to see you smiling and ready to fill the studio with such positive energy. Year-end is the perfect time to acknowledge personal achievements, as well as the people and events in your life that you are thankful for. Exercising mindfulness and gratitude not only helps keep perspective, it reminds us to count the little things that may ordinarily pass us by throughout the year. If meditating for an hour a day, or journaling extensively isn’t for you, don’t try and force it! 5 minutes a day can be just as beneficial. 2. Be mindful of what is meaningful to you and where you are in the present. 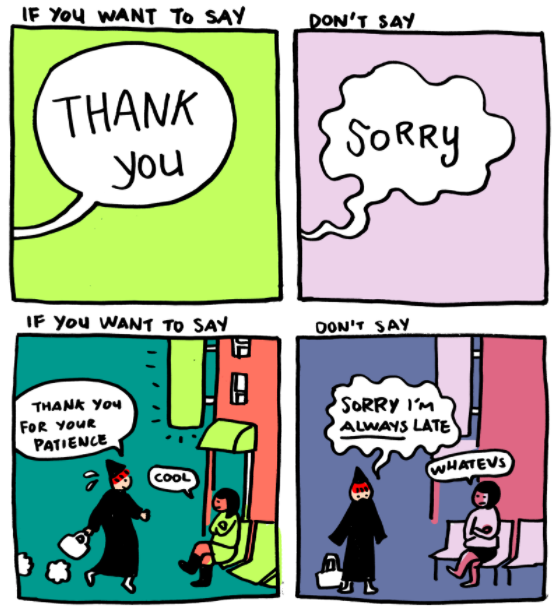 Self-compassion and forgiveness are just as important as external sources of gratitude. Here’s to another year of growth in strength, community, and spirit! Teacher in Training Classes are Here! Teacher in training classes are going to be popping up throughout December and January! These classes are a required component of the process of completing the Ballet Beats teacher-training program, and a great way for our trainees to gain experience. Please note that these classes will be $10 and take place at our Marda Loop studio. And, while we have every confidence in our trainees, these classes are not recommended for beginning students coming to the studio for the first time. For the most up-to-date schedule of both training, and regular classes, please refer to either the MindBody website or app. Come and join us in helping our fellow rebel ballerinas complete their Ballet Beats teacher training. To quote Kalyn; “To become a great teacher, you must teach!” We are so excited to be a part of their teaching journey, wherever it may take them! The very first session of teacher training under the Ballet Beats curriculum was a huge success! We are so excited to continue to build this community of dancers, which wouldn’t be possible without you the students, or the studios and individuals who signed up to learn the program. So a huge THANK YOU to everyone! The training involved instruction in, and exploration of, ballet and barre positions and techniques, the Ballet Beats syllabus, as well as how to lead a class and engage students, with Jillian and Kalyn. The teacher-training program also included three modules that were taught by guest instructors who are experts in their fields. Alli George has a degree in dance from the U of C, diploma in exercise science from Lethbridge College, certification in personal training and coaching, and extensive dance experience. She specializes in dance specific training, and developing biomechanics breakdowns for safe and efficient movement. Alli’s goal is to help dancers develop safe, efficient, and effective movement patterns while maximizing their strength and mobility. All of which made her the perfect instructor to teach our trainees about mat and weight safety and technique. We were also so excited to bring in Hailey McLeod for the anatomy and safe teaching practices module. Hailey is a dancer, actor, creator and teacher who has explored many ventures in the arts realm. She pursued dance training in contemporary and jazz styles while earning her BA in Dance from the University of Calgary in 2014, and holds an MSc in Dance Science from Trinity Laban Conservatoire of Music and Dance. Hailey included everything about basic anatomy and proper posture so trainees were able to identify what muscles are working when, as well as how to activate and deactivate the correct muscles at the correct time. Hailey’s class also dove into proper alignment and how to recognize where there is potential for injury. Our final guest instructor was Allison Smith, an internationally known voice talent who trains yoga and fitness instructors in voice quality. Eliminating bad speech habits such as upspeak, vocal fry, repetitive word choices, and the unconscious adoption of a “character” can all distract students and take away from their experience in class. All of our teacher training programs are available to already established studios wishing to expand the classes that they provide, as well as individuals who want to extend their knowledge and challenge themselves. Once training is complete, the opportunity to licence the Ballet Beats syllabus is available for a yearly fee. Employment at the Ballet Barre Works studio is not guaranteed, however, applications are always strongly encouraged! We are here to answer any questions you may have about any future training opportunities! Please email info@balletbarreworks.com.